Disneyland’s Cars Land Haul-O-Ween Spectacular - Insider Tips, Fun Facts and How to Throw your own Haul-o-Ween Event! 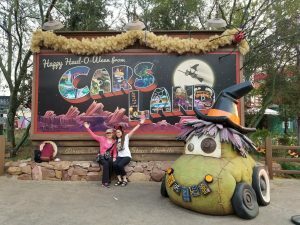 Disneyland’s Cars Land Haul-O-Ween Spectacular – Insider Tips, Fun Facts and How to Throw your own Haul-o-Ween Event! I have to admit to you guys that even with all the Disney love I have in my heart, I had never actually had a chance to go to Disneyland until last week. 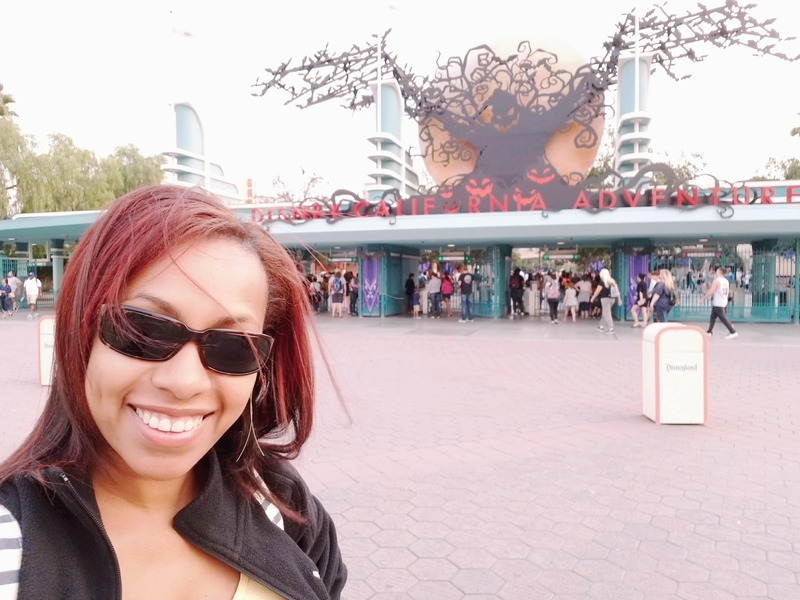 Don’t get me wrong, it has been on my bucket list and with each trip I’ve taken to Disney World in Orlando, I’ve dreamed of checking out the beloved west coast version. 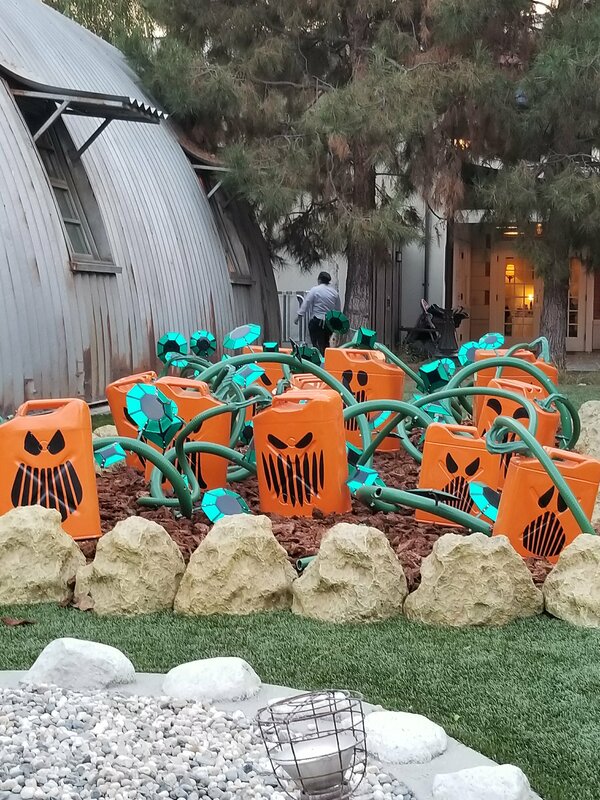 During my recent Thor Ragnarok Event in Los Angeles, I not only had a chance to visit Disneyland, but I got to go during their first Haul-O-Ween event at CarsLand. Talk about an incredible way to celebrate the digital release of Cars 3, at Disneyland’s Haul-O-Ween spectacular you get to see how Lightning McQueen and the Cars gang transform the town of Radiator Springs into Radiator Screams for Halloween Time. From the super fun Halloween themed décor, to the music, to the awesome ride adventures, this event is not one to miss! On top of that, I found some really fun ideas to even host my own Cars themed Halloween Spectacular! 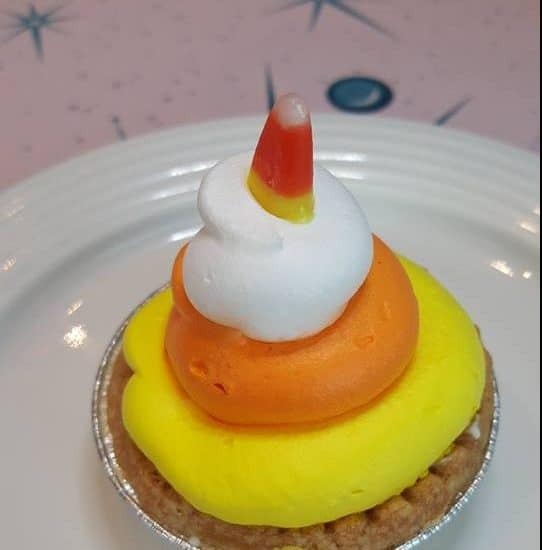 Disneyland at Halloween features tons of frightfully fun and delicious food and drinks – We had a chance to visit Flo’s V8 cafe where the Car-achnid Pot Pie, Grape “Ghoul”-ant Shake and Mini Candy Cone Pie was definitely a main attraction! 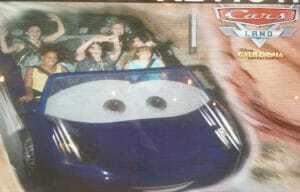 This was one of my favorite rides at CarsLand! At first, it seems pretty standard and unassuming, but the end of the ride will give you the thrill of your life! For a second there, it took my back to my racecar experience at Sonoma Raceway earlier this year only with a hint less of that fear factor. This ride is an absolute must! OMG! If you are up for a real heart pounding thrill, the Guardians of the Galaxy ride will not disappoint. 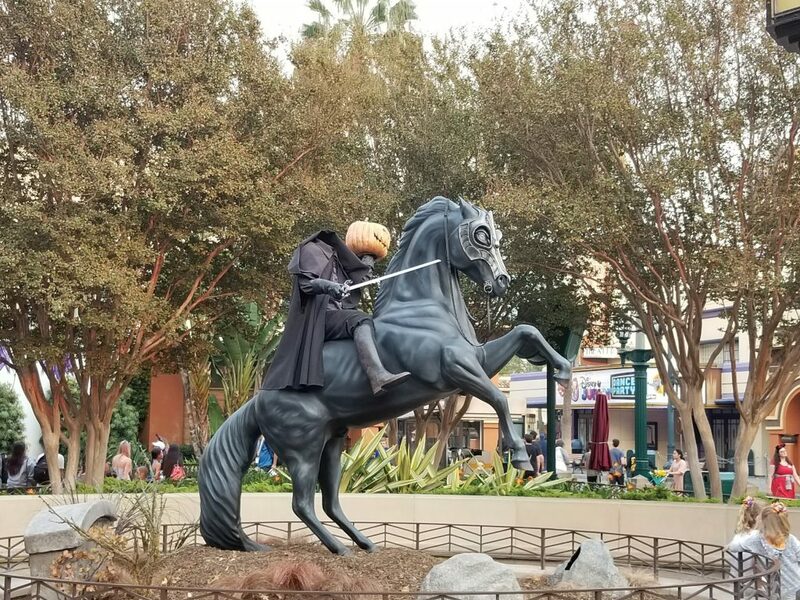 Even on a regular day, this ride is no joke, but Halloween time brings an added adventure. 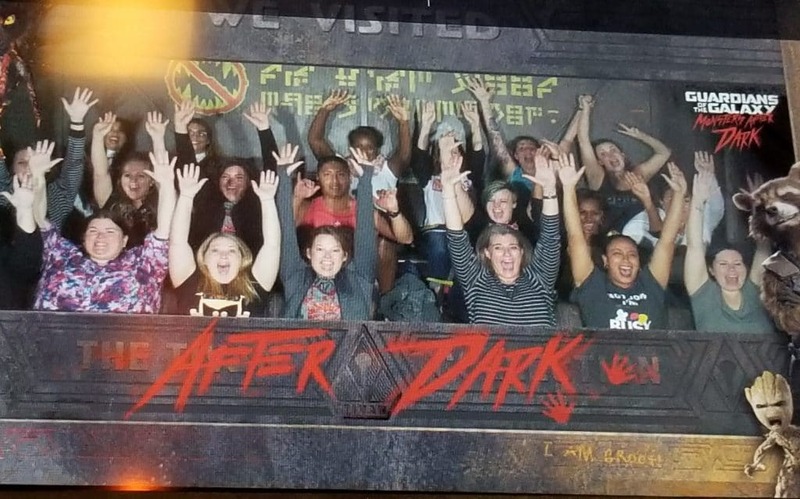 The ride takes you up high in a chamber – almost like an elevator – and then proceeds to drop repeatedly literally lifting you out of your seat each time. Meanwhile, you get to see Groot here and there in between the drops. 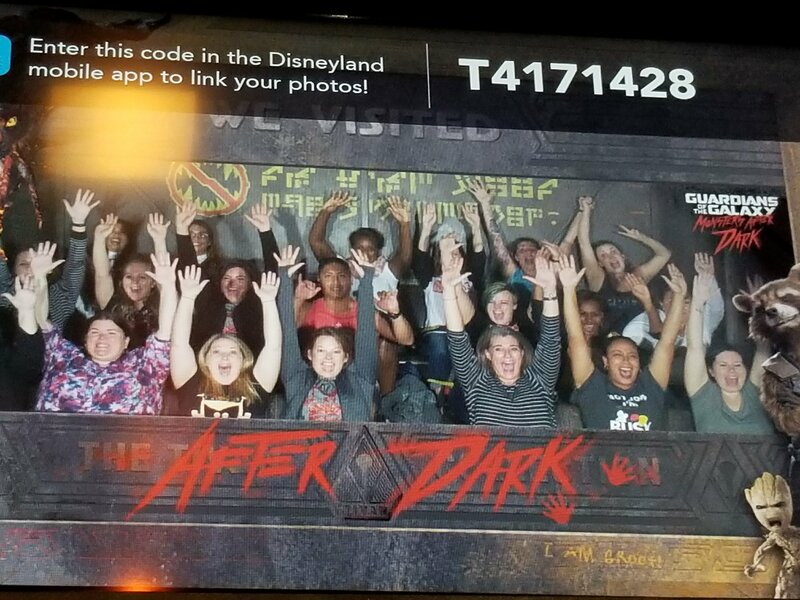 I have to admit, I was terrified about going on this ride and planned on backing out up until the very last second. I’m glad I did it though, because it was actually a lot of fun. • Cars wear their favorite “car-stumes” for Haul-O-Ween – Mater dresses up as a “van-pire,” Lightning is a super hero, Cruz Ramirez is a pirate, Red the Fire Truck is a clown and DJ is a punk rocker. • Sha-BOO! 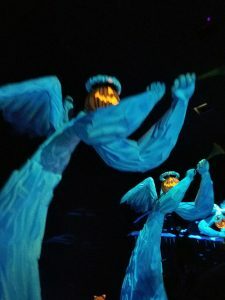 – This Haul-O-Ween, Cars Land is taken over by supernatural spirits each evening for a haunting Sha-BOO! Sheriff’s voice arrives on the scene to return the town to order and welcome guests to Radiator Screams. 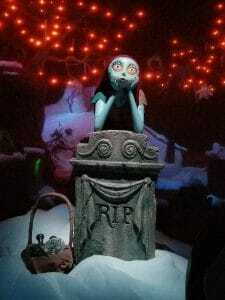 • Trunk-or-Treating Tunes – The background music in Cars Land features a new lineup of kooky Halloween-inspired songs. • Scary the Scare-car – Greeting guests as they enter Radiator Screams is another new addition: Scary the Scare-car. Guests hear the story about how Scary came to be while riding Luigi’s Honkin’ Haul-O-Ween. • A Creepy, Crawly Cruiser– Spinning a web of mayhem at Flo’s V8 Cafe is a “terrifying” Spider-car. 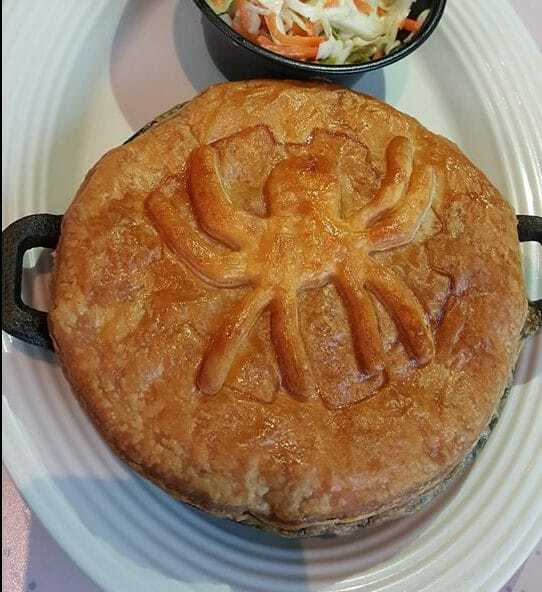 Guests need not fear though, since this eight-legged friend is available for photos. 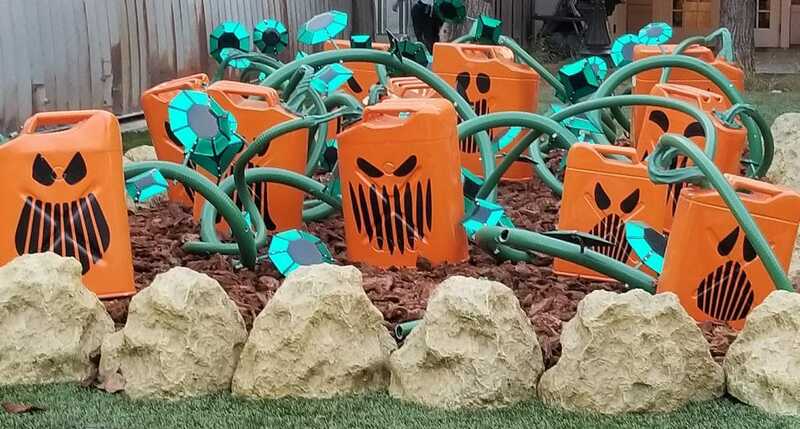 The Haul-O-Ween designers repurposed a “Toadmobile” from Mr. Toad’s Wild Ride for this unique experience. 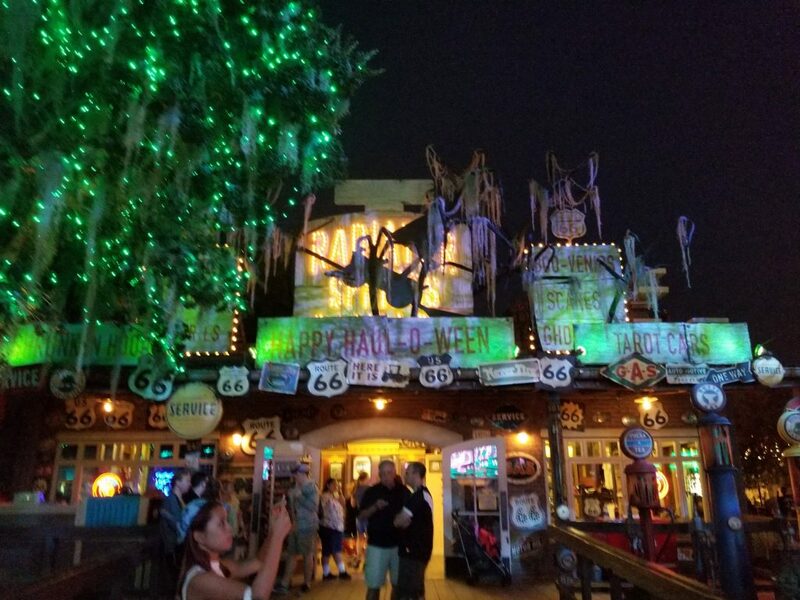 • Zombie Car Effect – An out-of-service car with an undead battery refuses to “rust in peace” as it attempts to come back to life in front of Lizzie’s Radiator Springs Curios. Contrary to popular rumor, these are not the remains of her beloved Stanley. • Witchy Miss Lizzie – Flying over Cadillac Range is Old Witchy Miss Lizzie. Her curiosity shop, now appearing as if it belongs to a vintage witch, specializes in special Haul-O-Ween Boo-veniers! • Disorder in the Court – Strange things are brewin’ over at the old courthouse. A mad scientist has hooked up jumper cables, giving the old building new life (with moving eyes in the window). • Horn-O-Plenty – This mysterious artifact was unearthed on Haul-O-ween Night in 1936. Every year the residents of Radiator Screams bring it back to its rightful home and adorn it with seasonal gifts. • Mater’s Junkyard JamBOOree’s New Tunes – The tractors are spinning to new versions of beloved Mater’s Junkyard Jamboree songs as well as Haul-O-Ween-inspired parodies of Monster Mash by Bobby “Boris” Pickett (Monster Truck Smash) and Purple People Eater by Sheb Wooley (Purple Fender Bender). 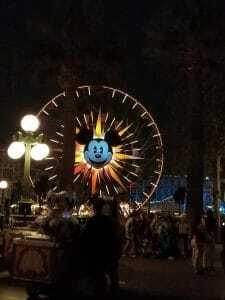 • Luigi’s Favorite Holiday – Luigi and Guido never celebrated Haul-O-Ween before moving to Radiator Springs. Now it’s their favorite holiday, and they’re inviting the cousins to come celebrate for the first time. Their “Terror-antella” tells the story of Luigi and Guido building the town’s beloved Scare-Car, Scary. • Ramone’s House of Body Art– While not part of Haul-O-Ween, Ramone is celebrating Day of the Dead at his detailing shop. Newly painted hoods, marigolds and a sugar car (named Sugar) decorate the outside. Inside, Ramone has built an ofrenda to celebrate the life of the town’s good friend, Doc Hudson. Items celebrating the life and career of the old racecar are on display. • Brake’s Motel – Sally seasonally creates a themed miniature model of the Cozy Cone Motel out of seasonal candy displayed for all to see. It is on display in the lobby of the Cozy Cone Motel. • Spiders – Guests will find 30 car-achnids lurking around Radiator Screams! Haul-O-Ween at CarsLand takes place from Sept. 15 – Oct. 31, 2017. 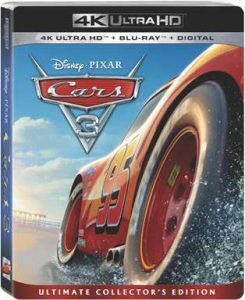 Also be sure to check out Cars 3 now available on Digital!